Another good Valentine’s day dessert. This one is for Denver who is getting 20 inches of snow tonight. Wish I was there!!!! This is Bob’s all time favorite. 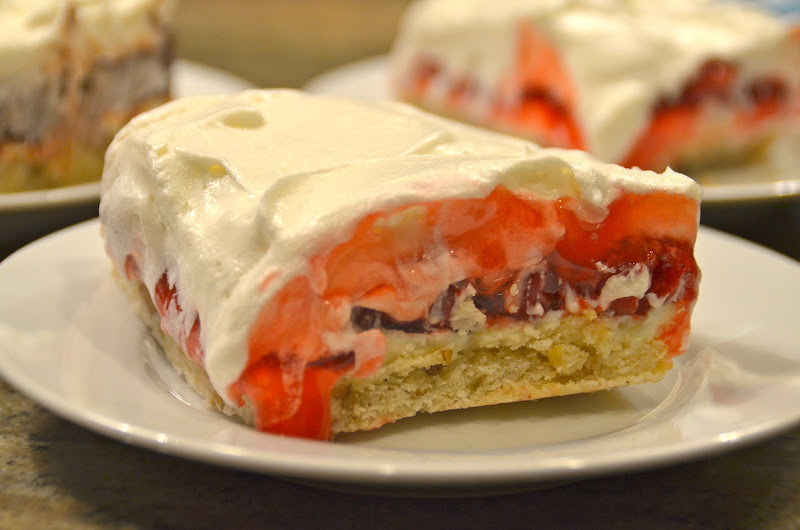 The cookie crust is simple to make, then there is a cream cheese layer, canned cherry pie filling and Dream Whip on top. It has been around for a long time but some of you youngsters may not have had it! 2 (8 oz. cream cheese) room temp. You can use Cool Whip if you would rather (but it is not as good on this). 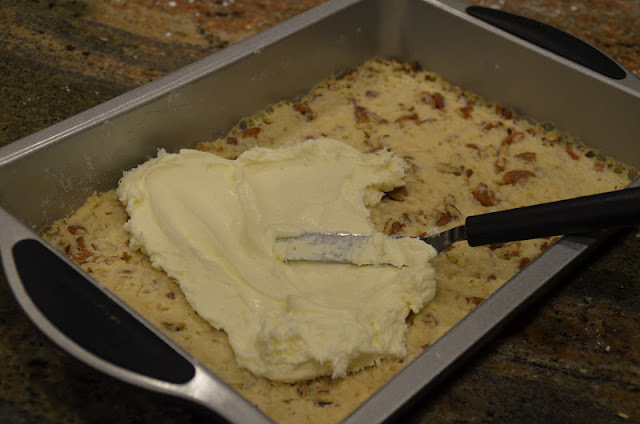 Cut the butter into the flour, sugar and pecans using 2 knives or a pastry cutter until butter is pea size. 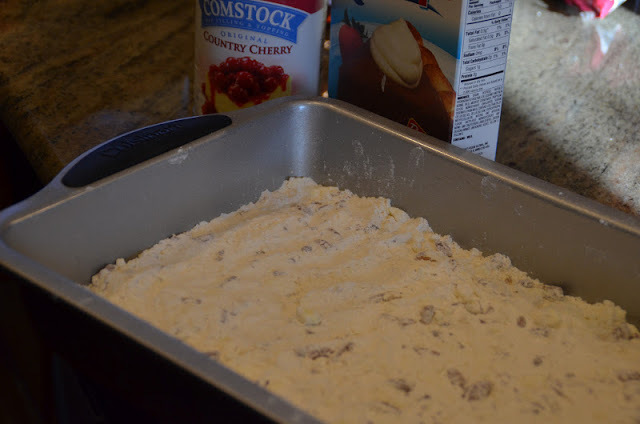 Press into a 9X13 pan. 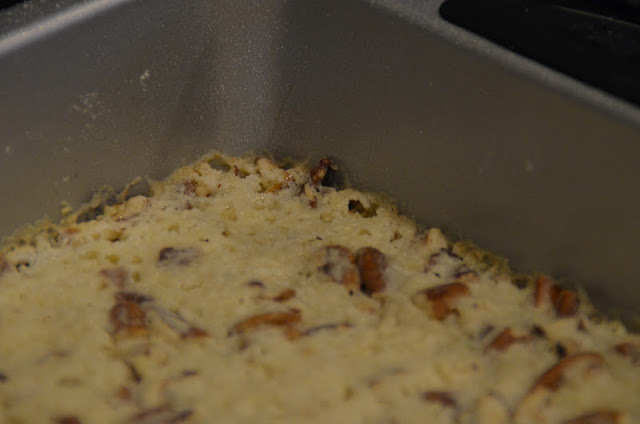 Bake for 12 minutes at 350. Cool completely. The edges will just barely be turning brown. 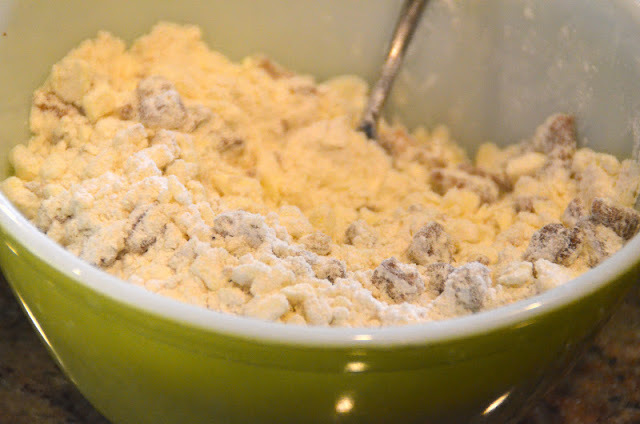 Beat cream cheese and powdered sugar with an electric mixer fitted with a paddle until fluffy. Spread over COOLED crust. 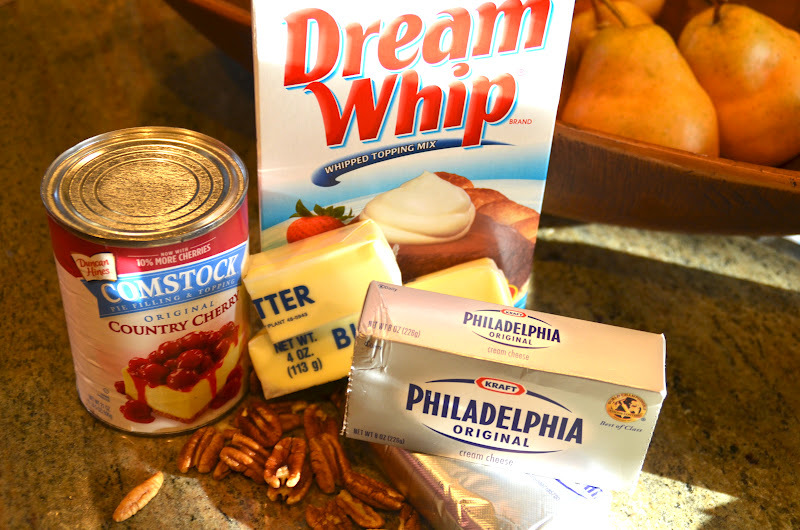 Spread pie filling over cream cheese. 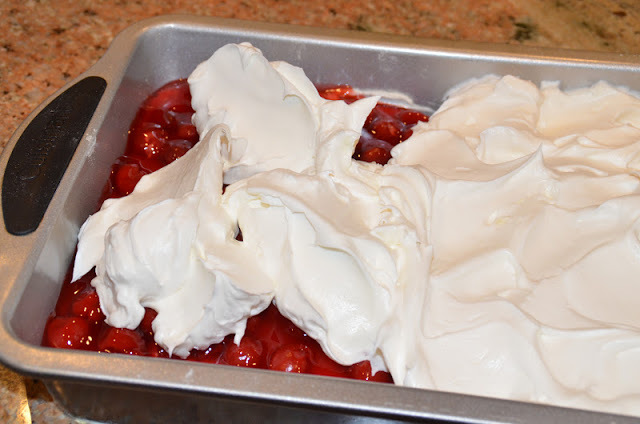 Prepare 2 envelopes of Dream Whip with an electric mixer and spread over cherries. Cover and keep refrigerated. Note: There is an optional chocolate version that replaces the cherry pie filling with one 3 oz. chocolate pudding and pie filling prepared according to package directions. 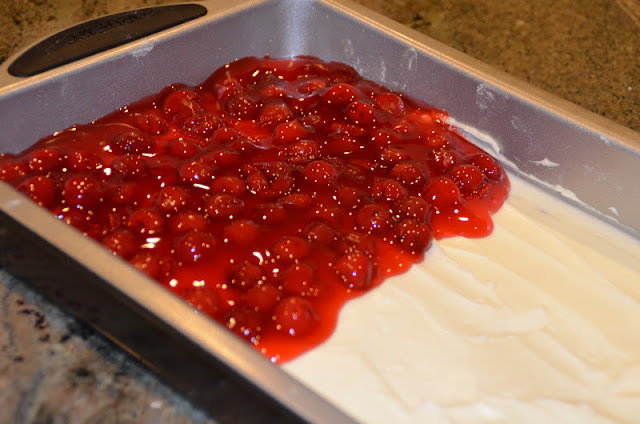 You can also do it with half of the pan cherry and half chocolate.